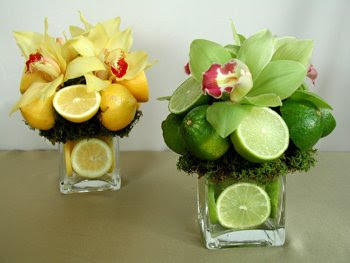 Speaking of keeping things simple, here are some simple DIY arrangements that are great for cocktail rounds. 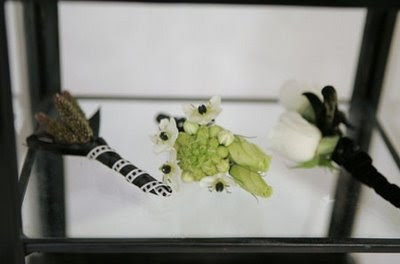 I have no idea where I got this photo from (shoot me an email if you do, so I can give a proper photo credit) but I thought this little arrangement will go perfectly with the cocktail rounds for Hyun Ju's wedding. So here's a shot while Leena was working on this project and I was busy running around setting up the tables for the wedding. So, here's what I came up with last weekend. 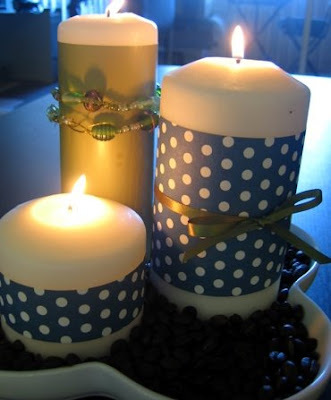 Candles were purchased from Ikea and I wrapped it with Paper Source wrapping paper. I posted an entry couple days ago about overall day-of schedule. 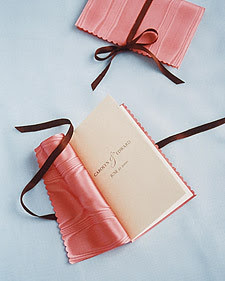 Today, I'll be posting what to include in a wedding program. 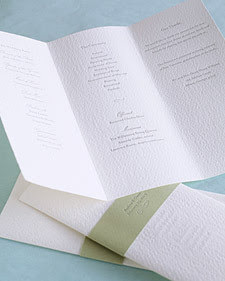 A wedding program is a nice way to help your guests follow along with the ceremony, understand cultural traditions and also become familiar with your bridal party! 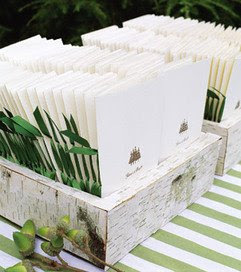 It's also a great opportunity for the couple to give dedication and thanks to guests and serve as a wonderful keepsake too. 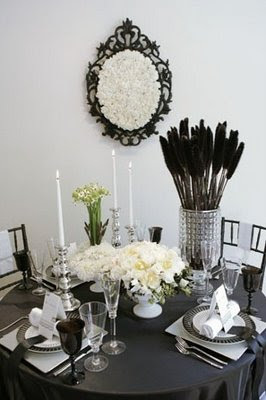 Tip: Include fun details & facts about each person in your bridal party - how long you have known them, where they live, etc. *** Bethel Printing located in K-town does an excellent job of designing bilingual wedding programs that are clean & simple. If you need assistance, email Janet from Bethel Printing (bethelcardpaper@gmail.com) to send you some sample copies. Planning a good timeline on the day of your wedding makes a world of difference. Here's a generalized timeline of a traditional wedding schedule, but I'm sure you will need to revise it depending on the location & type of wedding you're having. 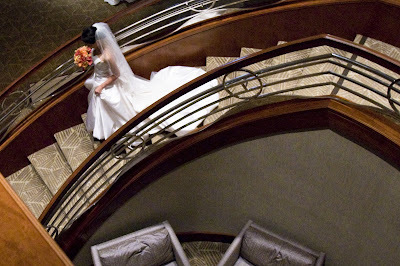 Now days, there's no "right or wrong way" to put your wedding together. If you want garter toss or skip the whole thing, it's up to you, but just make sure your photographer captures all the important elements you have planned. Whatever you do, enjoy your day, don’t let the little things upset you. It’s a little late at this point to worry about things not being perfect, so just go with the flow and have fun!! *TIP* Get a nice hanger for your dress. Have shoes, rings (clean please), and bouquet ready for photos. 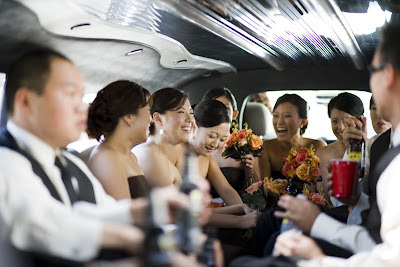 *TIP* Arrange with your photographer where you would like to take photos with the bridal party before the ceremony. 3:45 Arrive to church/ceremony site & take photos with immediate family members. *TIP* Please tell all your family members to arrive by no later than 3:30pm so the photographer can be ready to take family pictures. 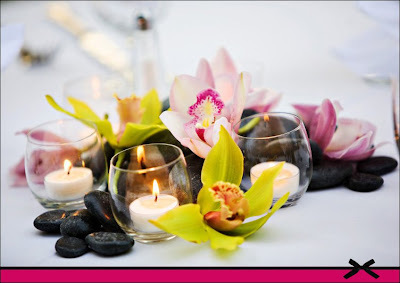 *TIP* Inform family members, wedding party and friends to stay close after the ceremony. 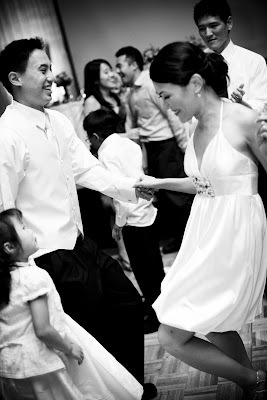 *TIP* Make sure you get all the line ups and bridal party names pronounced correctly from your DJ. 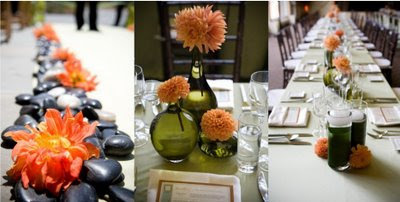 *TIP* Serve salads BEFORE speeches. Speeches that run long make for wilting salads and put dinner behind schedule. *TIP* You may show slideshow/video presentation during dinner or play some games (talk to your DJ) towards end of dinner time. 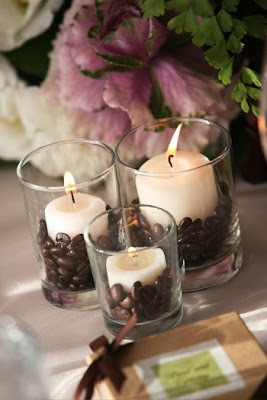 *TIP* If you wish to have a pe-bek ceremony, you can do it during cocktail hour OR after reception. 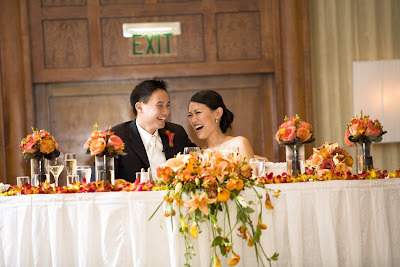 It usually takes about 10-15 minutes for the bride and groom to get dressed and 20-30 minutes for the pe-bek ceremony. I prefer having it after the reception only because you don't have to get dressed again for the reception and it gets pretty tiring. Some parents want this ceremony to be private so discuss with your parents first. There were so many shots Jules Bianchi team took that it was hard for me to decide which ones I wanted to post. 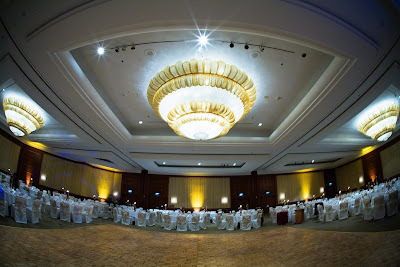 So be sure to click here to check out their wedding highlights!! I watched it at least three times already!!! Young and Tim by end of the night... they look pretty tired from having too much fun.. huh! :) Congrats once again to both of you and thank you for entrusting me with all the details on your wedding day. I met with Sylvia and Dongmin last month at Cafe Pinot where they will tie the knot in April of next year. We instantly clicked and knew that we would be a great match. They both work as an architect and that's where they met each other one year ago. It was actually their one year anniversary when I met with them for the first time and I heard through Sylvia later that she got proposed THAT night!! They're one of the stylish couples I've met and it's gonna be one stylish & modern wedding with FULL of details! I can't wait... 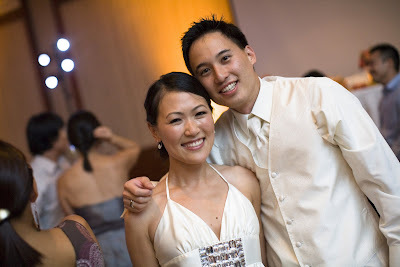 They're also having another wedding in Singapore for Sylvia's relatives & friends back home. this is their dog, yogi.. isn't he so cute? I love love love her little hair piece!! Stay tuned for more fabulous pictures from other clients! !